Spanish painter and draughtsman of Italian descent, son of Patricio Cajs who, together with Romulo Cincinnato in Rome in 1567, were engaged by the Ambassador to Philip III, to work at the Spanish royal court. 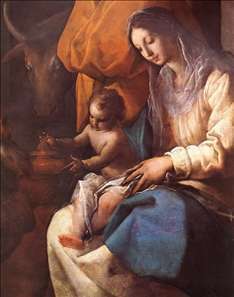 Eugenio undoubtedly served his apprenticeship with his father, with whom he also collaborated on his earliest commissions. Eugenio Cajs s Meeting of Joachim and Anne (Madrid, Real Academia S Fernando) was probably painted for an altarpiece that his father contracted for in 1604. It reveals, in both the sense of monumentality and the rather mannered lines of the drapery, the influence of the fresco paintings carried out by Pellegrino Tibaldi at the Escorial. 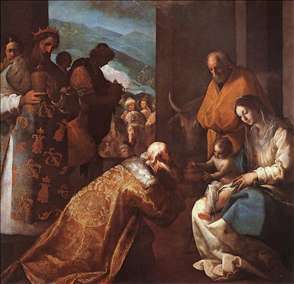 See more details about "The Adoration of the Magi "